Are you overwhelmed by the holidays? Crowded by relatives or desperate for a meditative hour or two away from crowded shops? 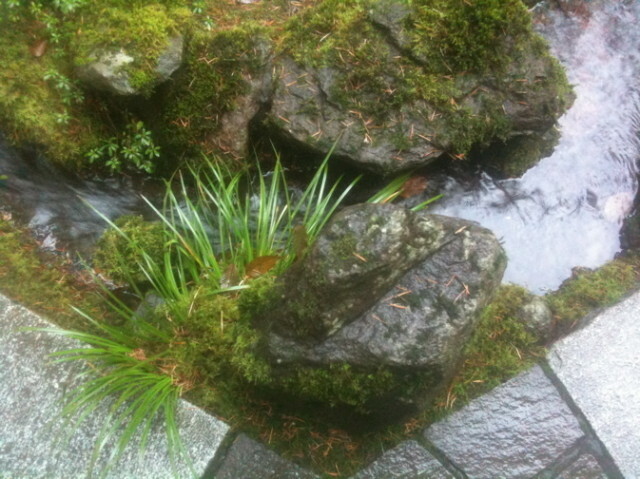 I recommend an immediate trip to the Japanese Garden. I spent a couple of quiet, meditative hours with friends there on Monday and couldn’t have felt more refreshed and blissful afterwards. 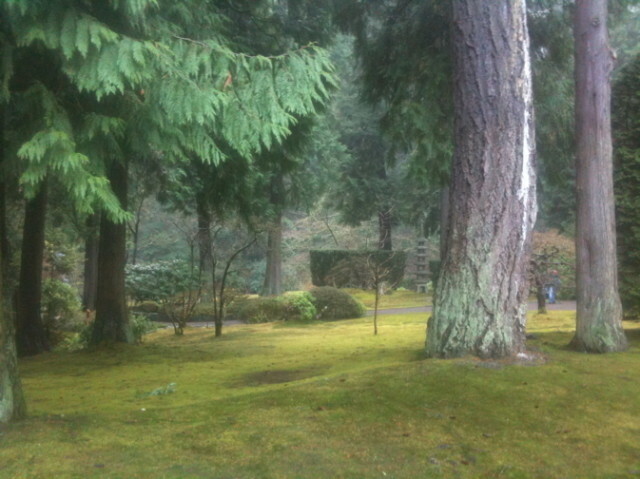 I had no camera with me but commandeered a friend’s iPhone and found that it well captured the misty, mossy, green mood of the place. There were some exquisitely beautiful sasanqua camellias in full flower – their hot, hot pink blossoms shone in the cold, foggy air. The small, pink flowers of winter viburnum (Viburnum x bodnantensis ‘Pink Dawn’), with their delicately spicy aroma, were exploding into flower. And everything, from the ground to the treetops, was swaddled in artful mounds of moss and lichen. Magical! As an aside, I’ve never seen the garden looking as good as it does right now. There have clearly been some meaningful repairs, upgrades and some highly refined pruning work done in the past year. I’m just so impressed with how the garden’s looking at the moment. There couldn’t be a better time to visit. 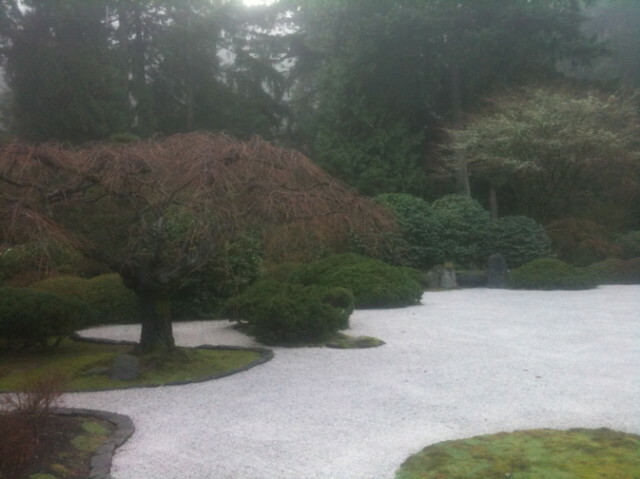 The Japanese Garden is open every day through the holidays except for Christmas Day and New Years Day. That leaves plenty of time to unwind before or after the holidays. Admission: $9.50 adult; $7.75 seniors and students with ID; and youth $6.75.